Direct Freight – Page 5 – Make your loads available anytime, anywhere. The largest U.S. business lobby and the trucking industry joined forces to urge skeptical lawmakers to increase federal fuel taxes for the first time in a quarter century to raise money for crumbling roads and bridges. Read more here. The trucking industryemploys 7.4 million Americans, including 3.5 million drivers. ‘Truck driver’ is the No. 1 occupation in 29 states and one out of every 16 jobs in the country. But it won’t be enough to keep up with the growing demands being placed on the trucking industry, said Chris Spear, American Trucking Associations president and CEO, during a town hall address to fleet maintenance executives and industry suppliers at the 2018 ATA Technology & Maintenance Council Annual Meeting in Atlanta. Read more here. Trucking: Will Congress allow 18 year olds to drive interstate trucks again? SAN DIEGO. The head of the International Foodservice Distributors Association (IFDA) said another effort is underway that could create a pathway for some younger drivers to get involved in interstate commerce. Read more here. In describing what life would be like without NAFTA, some business groups have stopped just short of predicting a plague of locusts. Listen to American CEOs, though, and the potential collapse of the continent’s trade framework doesn’t sound quite so scary. Read more here. “The plaintiff’s expert was on the stand, and he actually paid me a compliment,” Perryman explained. “He said, ‘You know quite a bit about trucking.’ I’ve also had experts tell me before depositions: ‘Well you must do a lot of trucking work, because you know what a pre-trip is, what different parts of the truck are and how to drive. '” Read more here. The jury has finally reached a verdict in a high profile fraud case involving former Pilot Flying J employees who allegedly conspired to dupe unsuspecting truckers out of promised fuel rebates. Read more here. Since its inception in 1995, Amazon changed how the world shopped. eCommerce took hold, giving consumers more choice and more convenience, bypassing the traditional brick and mortar stores, and now, more than 79% of Americans shop online. eCommerce widened the playing field and no longer did merchants have to get their product into stores; with a good website, sellers could set up shop in their garages and ship their goods directly to consumers. The popularity of eCommerce has had a tremendous impact on the trucking industry. 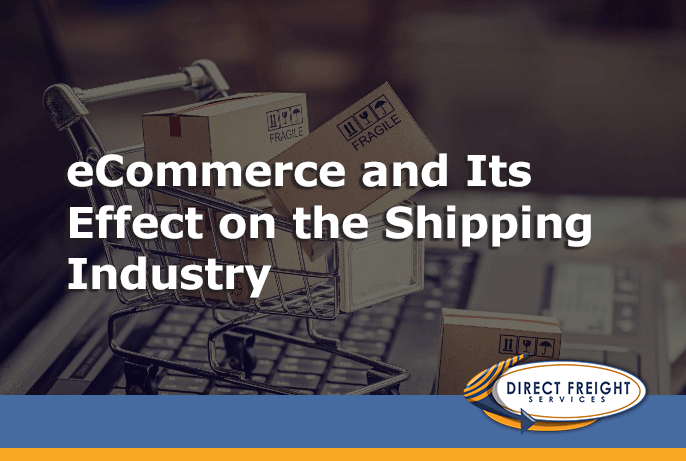 While shipments of raw materials from one business to another have remained unchanged, the shipping patterns of finished products have changed dramatically. Stores not only are stocked on a regular basis, but to remain competitive, they now rely heavily on eCommerce to drive sales. Online sales from retail chains may be delivered directly to the consumer, or they may be picked up at the store’s location which may add to their number of deliveries. Amazon’s two-day delivery model has had repercussions can be felt across all delivery platforms. Consumers now have an expectation that whatever vendor they choose, when they sign on to a website and place an order, it will arrive within 2-3 days. This change in expectations has changed how all carriers do business. The strict demand has led to an increase in smaller trucks being used more frequently instead of half-filled larger trucks. Because of this, the amount of commercial traffic on our highways has been steadily increasing, and the DOT projects that freight volume will grow by 45% by the year 2040. Noise and air pollution are on the rise as well. In order to stay in the race, trucking companies must be ready to adapt. They need to become more efficient. Advancements in technologies promise deliveries will eventually be made using drones and self-driving vehicles, however, these technologies are hardly perfected and they’re expensive. This is where trucking companies need to step in and fill the demand. Large carriers are adapting by changing equipment such as adding smaller trailers to be able to traverse compact neighborhoods. Retailers and manufacturers have found a solution to the 2-day shipping expectation problem: they’re opening more distribution centers across the country to cut down on shipping times. This means more half-filled trucks as well. Another effect that Amazon has had on the marketplace is in shipping transparency. Consumers demand to see where their package is all along its travel route. Larger carriers such as UPS and FedEx have set the bar high for tracking expectations, and at any time throughout its travels, a package can be located and its delivery predicted down to the hour. To compete in the market, carriers must provide this kind of precise tracking services. Consumers also have greater control over where they want their package delivered. Home or office? At the store? With transparency, you may not have to have the lowest rates to come out on top. People value good service and may be willing to pay a little more to get the product delivered quickly. However, it’s a tightrope walk with shipping rates. The number one reason that consumers don’t complete a purchase and abandon their online shopping cart is higher-than-expected shipping costs. People aren’t only buying gifts and gadgets online. Increasingly, consumers are turning to the internet for everyday items such as cosmetics, personal care items, furniture and even groceries. It’s estimated that 20% of traditional brick and mortar stores will close in the next 5-8 years as online retailers take over more and more of the market. With Amazon poised to start their own direct shipping to compete with UPS and FedEx, it’s more important than ever for trucking companies to make changes in order to remain players in the intense competition in the trucking industry. It’s time to streamline operations and install and implement Electronic Logging Devices in vehicles as well as look to improve operating efficiencies, whether that means smaller trucks, shorter runs, or improvements in logistics. Big changes in the shipping industry are already here. It’s time to step up and meet the challenge before you get left behind. The implementation of the electronic logging device (ELD) mandate has not resulted in an exodus of owner-operators for Landstar System. Read more here. For many fleets, onboard telematics has become an indispensable tool in the never-ending quest to improve fuel economy. Read more here. A self-driving truck operated by tech startup Embark recently completed a test run from Los Angeles to Jacksonville, Fla., which the company hailed as the first coast-to-coast journey by an automated truck. Read more here.